After a year and a half of controversy and intense opposition by preservationists and neighborhood groups, the New-York Historical Society at 77th Street and Central Park West has abandoned its pursuit of a $100 million, 23-story luxury condominium tower, along with a five-story annex that would have risen above an adjacent empty lot the society owns at 7-13 West 76th Street. A wide coalition of opponents had criticized the height of the tower — 280 feet, doubling the 136-foot height of the current structure — and had charged that the tower would deform the skyline of Central Park West and cast a shadow on Central Park. The society’s building has landmark status individually, and as part of the Upper West Side-Central Park West Historic District and a smaller domain, the Central Park West-76th Street Historic District. 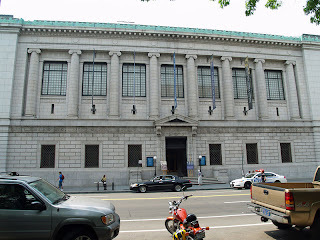 The New York Historical Society is the city’s oldest museum and research library. It was founded on November 20, 1804. 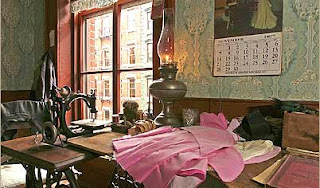 Facing economic distress and inadequate management the society limited access to its collections in the early 1990s. In 1988 hundreds of paintings, decorative art objects, and other artifacts were discovered in horrendous conditions in a Manhattan art warehouse. That same year, the board dismissed nearly a quarter of its museum staff, closed half of the gallery space and curtailed visiting hours. James B. Bell, the society’s director since 1982, resigned.